Once you see all Pages. Click on the Clone Icon of the page you want to clone as shown in the image below. 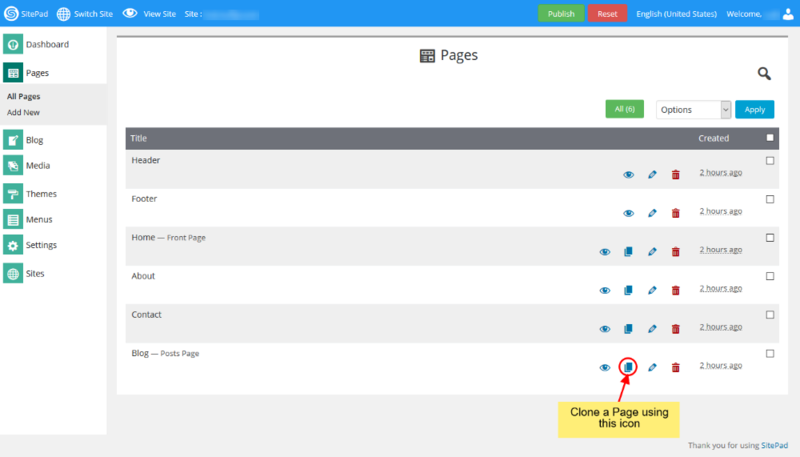 After you click on Clone Icon you will be redirected to SiteBuilder Editor of the newly clone page. You can provide the URL and Page Title and then click on Update and then edit the newly cloned page as per your requirement.